In 1967, 8,504 Corvette coupes were built, with only 1,423 of those rolling out of the St. Louis Assembly plant in Ermine White. What makes this one particularly interesting is that it’s completely original, unrestored, and has only 2,996 miles on the odometer. 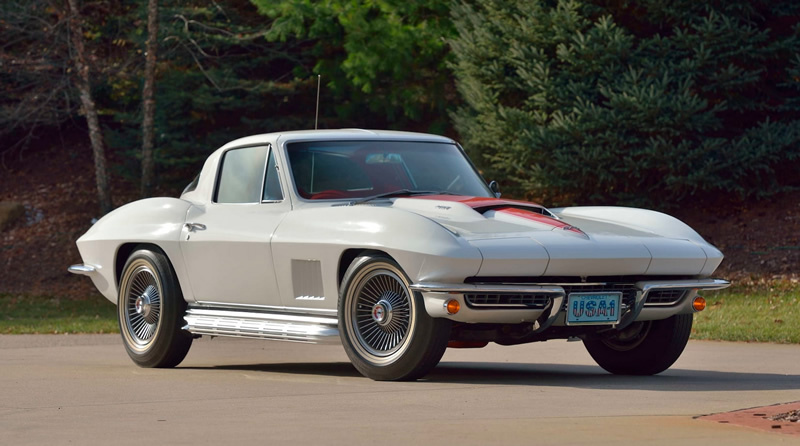 Offered by Mecum Auctions in Kissimmee, Florida this coming January, this particular 1967 Corvette has had only one owner who put all 2,996 miles on it. According to the listing, it’s believed that not a single person has ever sat in the passenger seat! In this day and age, it’s extremely difficult to find Corvettes that are this old that are completely unmolested with such low miles and in this condition. This CAR belongs in the Smithsonian, not in a car show. For complete auction details and photos, visit the Mecum Auto Auction Listing.